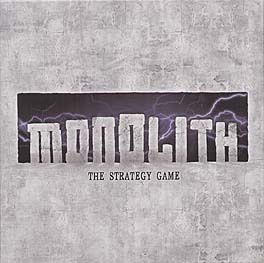 Monolith rewards players who make the best use of strategic and creative gameplay During Monolith, players seek to best their opponents with calculated timing, clever placement, and infuriating attacks, all while managing gems, Powers, and Skills during an all out sprint to VICTORY on the score track. No two games will ever play the same as changing Fate and Rune cards are randomly introduced to offer phenomenal replayability. The player with the greatest number of Victory Points after five rounds is declared the winner.